Kitchen cabinet plans are essential when designing or remodeling a kitchen. Your cabinetmaker will need a plan to know what size and types of cabinets you need. Measuring the room is the first step in planning kitchen cabinets. Use a measuring tape and have a piece of graph paper ready to note all the measurements in scale. Measure the walls of the kitchen. Measure and draw windows and doors on the graph paper. Efficient work zones in a kitchen are designed around the work triangle. The three primary work centers in a kitchen are the sink, refrigerator, and stove. Plan your kitchen so that the cabinets and appliances are in the best place possible. Your dish cabinets should be near the dishwasher. The refrigerator door should not block the cabinets. You should have several drawers near the stove and dishwasher. The Internet has several good kitchen cabinet planner programs available, and some of them are free. In some cases these sites would like you to buy kitchen cabinets from them, but you are under no obligation to do so. Lowes building supply store has a free online virtual room designer to create kitchen cabinet plans. After measuring your kitchen space, you can create several different plans to choose from. Virtually view your kitchen from several different angles to come up with your final design. Finally, save and print your personalized cabinet plans. Home Depot has a free kitchen designer tool on their website. The kitchen designer helps you figure out your preferences and establish priorities so you can make your dream kitchen cabinets. A virtual showroom helps you decide the type of kitchen cabinets you want either by style, layout, or brand. Designing a kitchen that suits your personality and needs is easy using the IKEA kitchen planner. The 3-D planner allows you to view your kitchen from different angles and drag and drop different cabinet types into place until you are satisfied. 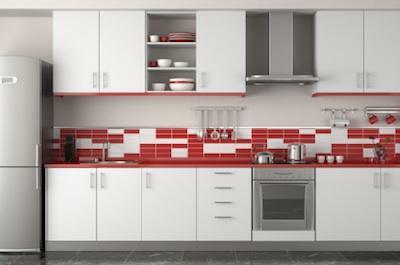 The quality, convenience, and storage capacity of kitchen cabinets is important. When planning your kitchen, ensure you have enough drawers for utensils, hot pads, and towels. Make sure you have cabinets for plates, bowls, glasses, serving dishes, pans, and small appliances. Also, consider cabinets for spices and other small foods items. Plan for a large pantry cabinet. If you have a corner cabinet you can have a Lazy Susan turntable installed, or you can use a breadbox. Your kitchen is the most expensive room in your house. Take extra time to plan it right. After you have used some of the free virtual kitchen planners, talk to a professional cabinetmaker to get his recommendations.